Armenian Taverna & Restaurant Manchester l Our Blog! We are coming soon with some exciting new blogs. Henrikh Mkhitary is our new favourite customer! 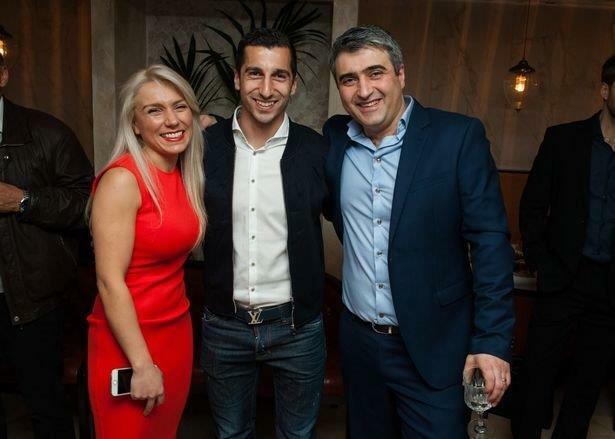 Manchester United midfielder Henrikh Mkhitary has become a regular customer of ours. Showing his love for our traditional Armenian cuisine around once a week since we refurbished the restaurant back in late October 2016. So what does a Manchester United star order from our traditional Armenian menu? Simply, a traditional Madznov Kebab which we make with minced lamb and serve on a bed of pitta bread. Topped with a perfectly fried egg and served with fresh yoghurt and rice (all of this for the small investment of £10.95). Henrikh’s selection is only one of many freshly made and traditional Armenian dishes from our menu. A personal favourite of mine (and another customer favourite) is the delicious Ishkan (trout) drizzled in olive oil and lemon and cooked to perfection over charcoals. The fish is served with rice, salad, and grilled onions. What keeps Henrikh coming back? When we asked him what it was that made us one of his regular haunts, Henrikh told us it was the food, the refined new interior and the unique atmosphere that keeps him coming back. Want to see what is all the fuss about? Regardless of what you do, here at the Armenian Taverna we are confident that you will love and enjoy our restaurant experience as much as our new favourite customer Henrikh Mkhitary does. So much so, that we believe you’ll be back before you know it.